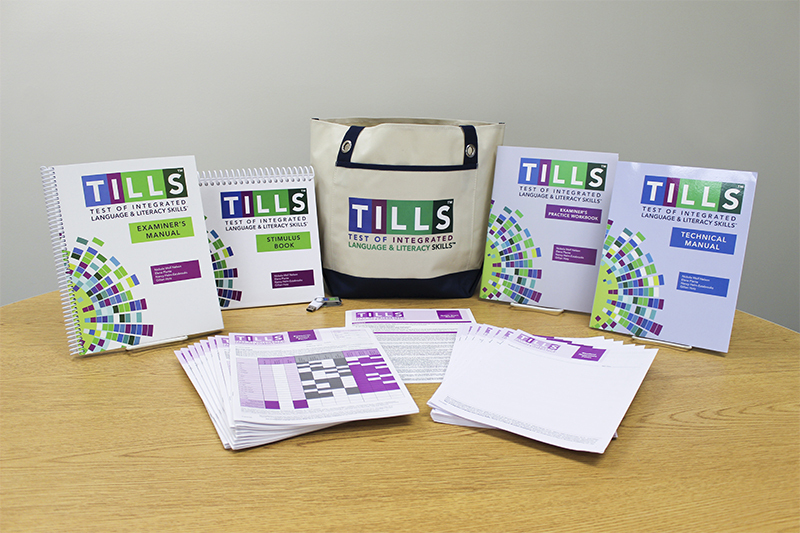 Ready to get started with TILLS™? Here’s a quick guide to what you’ll need. Quick Start Guide. Keep this convenient laminated guide close at hand for an overview of the test, summaries of the subtests, and basic instructions for administration and scoring. Examiner’s Manual. All the information you need to diagnose with TILLS. Includes information on administrating, scoring, and how to interpret scores for the TILLS subtests. Technical Manual. Your essential guide to TILLS development, validity and reliability, and more. Examiner’s Practice Workbook. Get detailed practice material for scoring each subtest, transforming raw scores into standard scores, and interpreting the scores. TILLS Forms. You’ll get 25 Examiner Record Forms to record and score student responses, plus 25 Student Response Forms your students will use to record responses on four TILLS subtests. Student Language Scale. Completed by parents, teachers, and students, this one-page checklist reveals each party’s perspective on how the student is performing on academic tasks and allows you to screen for disorders. Stimulus Book. All the print stimuli you need to administer TILLS subtests. Digital Audio Files. Collected for you on one convenient USB, these files are for presenting the stimuli for two TILLS subtests. Additional audio files demonstrate examiner pronunciations for select subtests and provide examples of students’ oral responses. 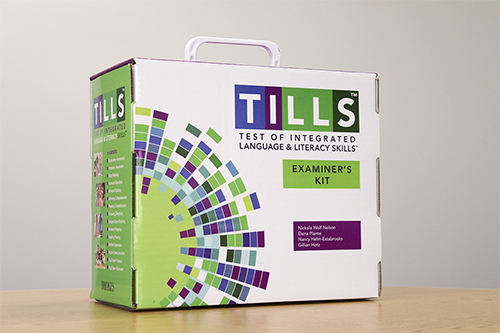 Each kit includes one SLS User’s Manual, one gummed tablet of 50 TILLS™ Student Language Scale forms, and one SLS Quick Start Guide with basic instructions on administering and scoring. Each kit includes one Examiner’s Practice Workbook, the Practice Kit Downloads needed to complete the workbook exercises, a pack of 3 Examiner Record Forms to work through the exercises in the workbook, and one Quick-Start Guide. Calculates the student’s age based on birth date and test date to help ensure accuracy. Converts raw scores you enter to standard scores and percentile ranks for each subtest. Completes the Scoring Chart for you, populating the composite scores, identification core score, total score, and the standard scores and percentile ranks of the total and composite scores. Completes the Identification Chart to inform you if the student’s results are consistent with the presence of a language/literacy disorder. Generates a PDF report you can print or save for a student’s file or share with parents or school personnel. Need more forms? This package includes 25 Examiner Record Forms to record and score student responses, plus 25 Student Response Forms your students will use to record responses on four TILLS subtests. You can order packages of 50 additional Student Language Scale forms, one-page checklists completed by parents, teachers, and students. Extra copies of the Examiner’s Practice Workbook are available separately. 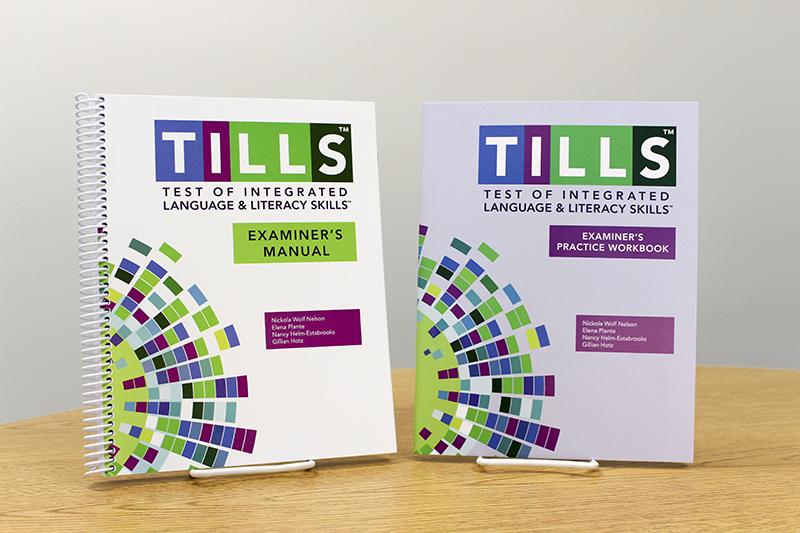 The workbooks provide you and/or your trainees with step-by-step exercises for each of the TILLS subtests, plus complete instructions on scoring procedures and practice opportunities. Sold in convenient packs of 5, these laminated trifold guides keep TILLS basics at your fingertips. You’ll get an overview of the test, a walkthrough of test administration, summaries of individual subtests, and scoring information. If in-person training on TILLS is the best option for you, contact Brookes On Location to set up a one- or two-day seminar at a convenient time and place. Is online training a better choice for you and your staff? You can also opt for an intensive 3-hour TILLS webinar, which fully prepares you to administer and score all 15 subtests with fidelity.